One man's brutally honest opinion about all things edible. Built in 1869 as sanctuary for writers in seek of inspiration, Eden Roc suffices. I say this with heavy doses of understatement because by all accounts Du Cap is a stunner. 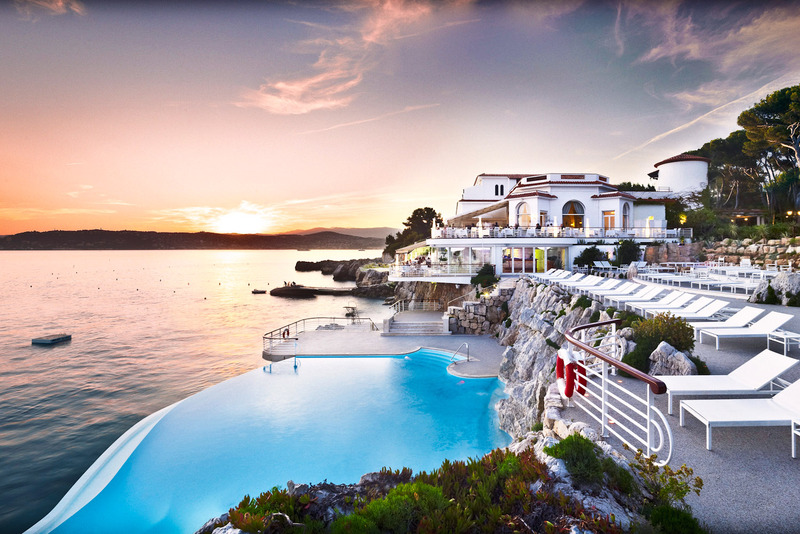 Like a mini version of Versai, nestled on the shores of a majestic Mediterranean cove. And while the hotel is a veritable feast for the eyes, the restaurant is regrettably not a feast for the mouth. But I suppose that’s not why people flock here. They do so to feel special, for the view and the lavish opulence. But this is food blog and I’m sorry to say that you can get the exact same experience at Chateu de la Chevre D’or in Eze without having to compromise on the food. Whereas, if you ask me, Eden Roc is basically a nicer version of the Hotel Belle Rives down the rue. In terms of food, the risotto with leeks was passable, but slightly flavorless. Granted, that was much more forgivable than the sea bass, which was overcooked and dry. And to be fair, even the bread and olive oil they served at the start of the meal was a big whatevs. Thus, if it is a gastronomic feat you are looking for, keep heading East on A8 until you reach Eze. But if you’d rather gorge on architecture and affluence, you could do a lot worse. This entry was posted in $$$$, 2 Knives, Antibes, FR, Dinner, Dressy, Drinks, French, Lunch, Romantic, Smart Casual and tagged A8, bread, Chateu de la Chèvre D'or, cove, Eze, food, hotel, Hotel Belle Rives, hotel du cap, leeks, Mediterranean, opulence, risotto, sea bass, Versai, writers. Bookmark the permalink.